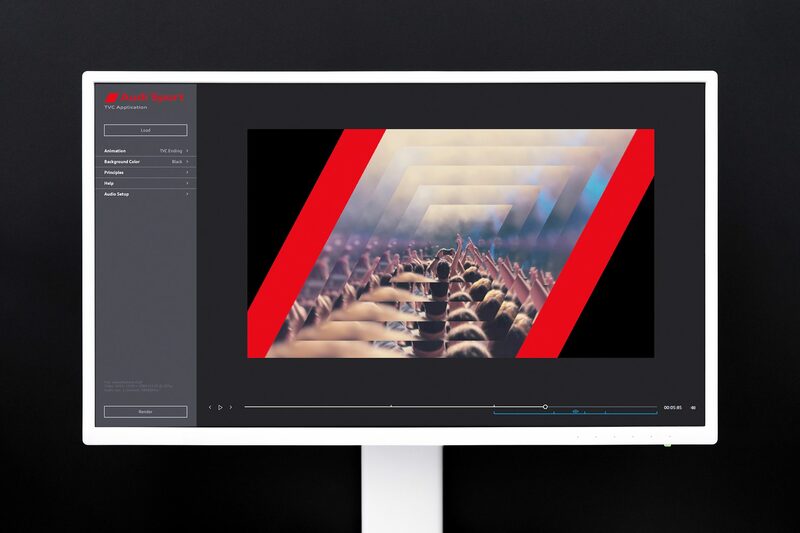 "Audi Sport TVC" is a video software to create a consistent visual and sonic brand identity for both post-production workflow and immediate use. 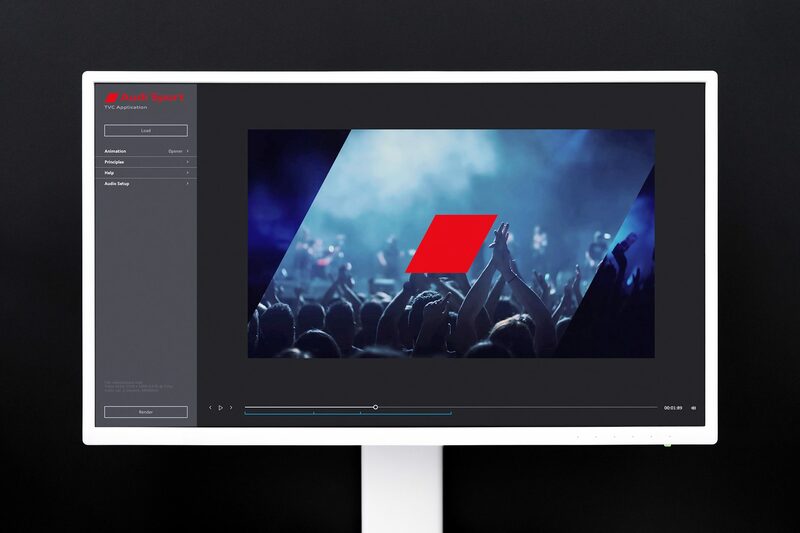 The introduction of the new Audi Sport identity for motion also challenges the production process for branded video: the motion identity cannot be applied as a plain overlay in a video editor any more, but generates and aligns its appearance based on each individual video footage. 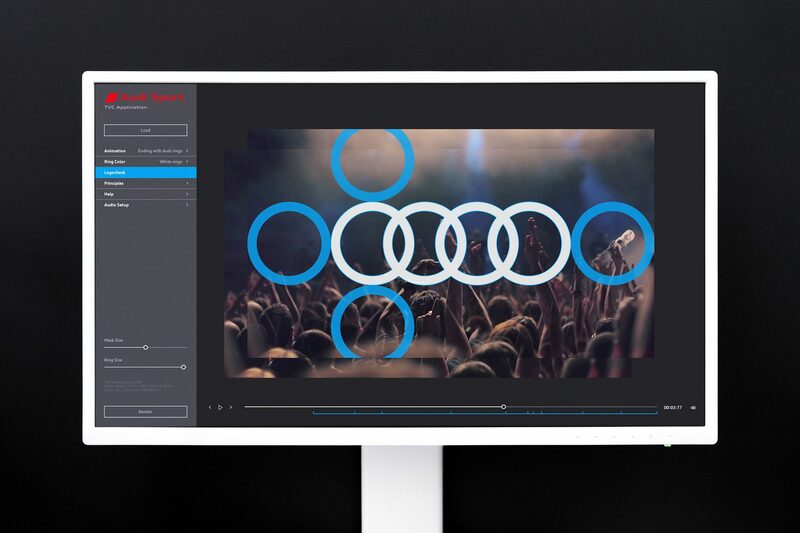 To deliver this visual turn consistently in all global market branches, the Audi Sport TVC application for Mac and Windows automatically aligns the motion identity for the animated logo ending, the opener and the ending with Audi rings. 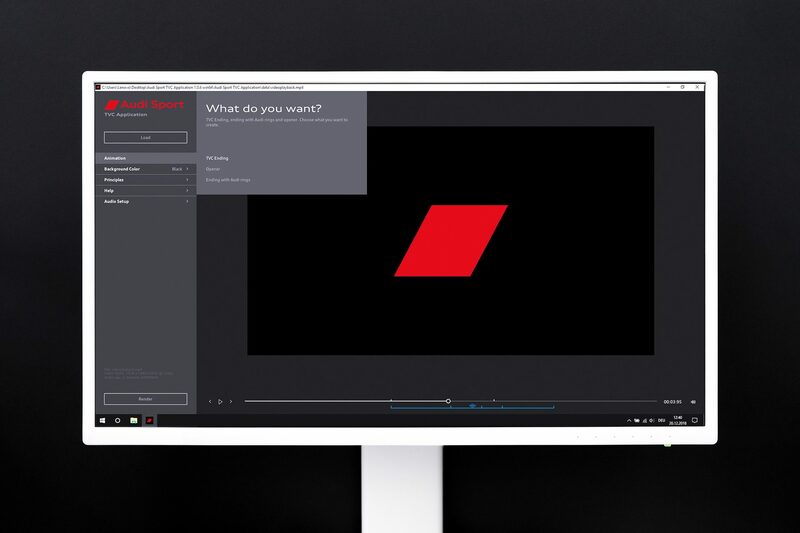 Depending of the specific videos ratio, resolution, frame rate, audio encoding and colorspace the animations are generated in real time, whereas lossless and consistent transformation are ensured through a time-based and resolution-independent implementation. 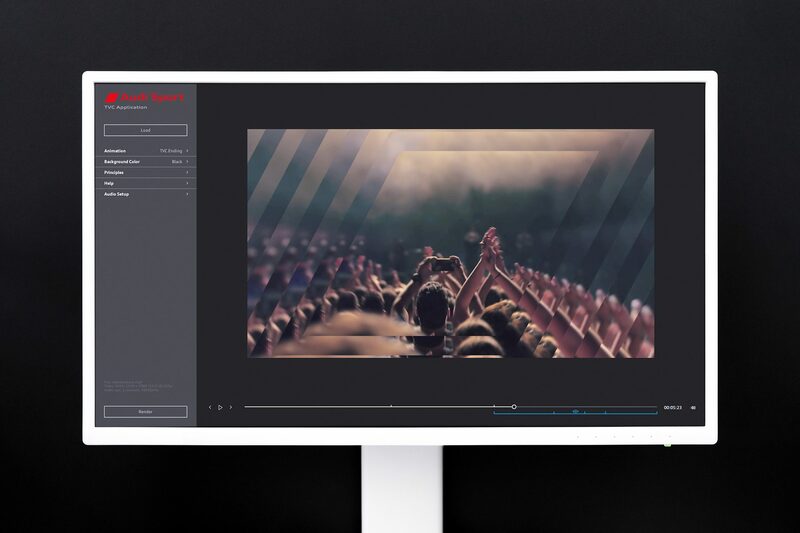 Handling standard web video up to Hi-Res cinema video, the final sequence can be exported as lossless image sequence or uncompressed video for further processing in the post-production workflow. 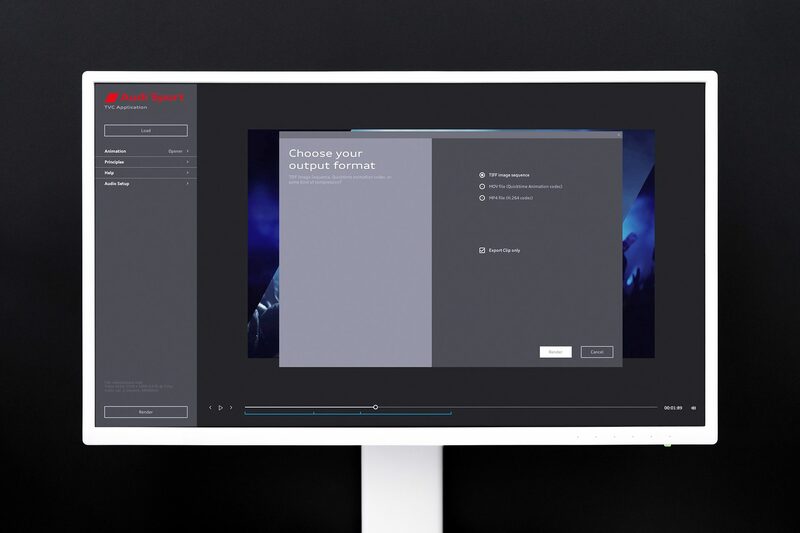 An export as production-ready H.264 video can be used for immediate distribution.